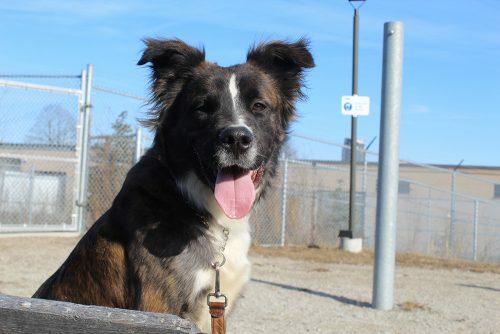 Call 416-338-7297 if you’re interested in adopting Prince. Prince is a happy, healthy boy, but his family could no longer care for him due to illnesses, and he was given over to our care. When he came to us, we found that he was very nervous with his new surroundings and the change in his life. After some time, Prince began to trust us and would allow staff to walk him to the outdoor runs. However, Prince was shown to be reactive with other dogs and needed to learn how to properly interact with them. After a formal behavioural assessment, we decided that Prince would benefit from time with our trainers to desensitize and counter condition him to handling and dog interactions. Check this page for details on Prince’s progress.